Like all things here at Plastics Unique Clipboard folders come in all colours, shapes and sizes. 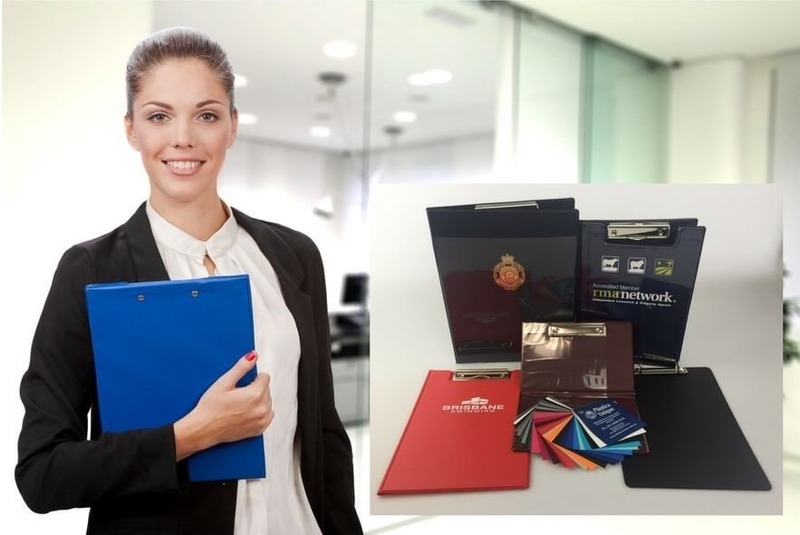 We can make a simple plastic PVC clipboard folder with a single colour print of your logo or go all out for you with options like inside or outside pockets, business cards holders or clear pages welded to your spine holding and displaying your documents. We can also give clipboard folders a touch of luxury with options like foam padding, gold or sliver corners and leather look material. They can be screen printed, debossed, foil stamped or full colour CMYK digitally printed. Clipboard folders can be made in vinyl pvc or polypropylene. Our wide range of colours includes metallic look and leather look options. All Plastics Unique products are made in Australia to Australian Standards of Quality in a factory powered by solar energy. We also use only recycled or recyclable materials and we recycle all of our scrap. The pricing below is for our standard clipboard folders. They are A4 size unprinted in standard plastic vinyl pvc. Please contact us for a quote on any other variations or quantities you are interested in.